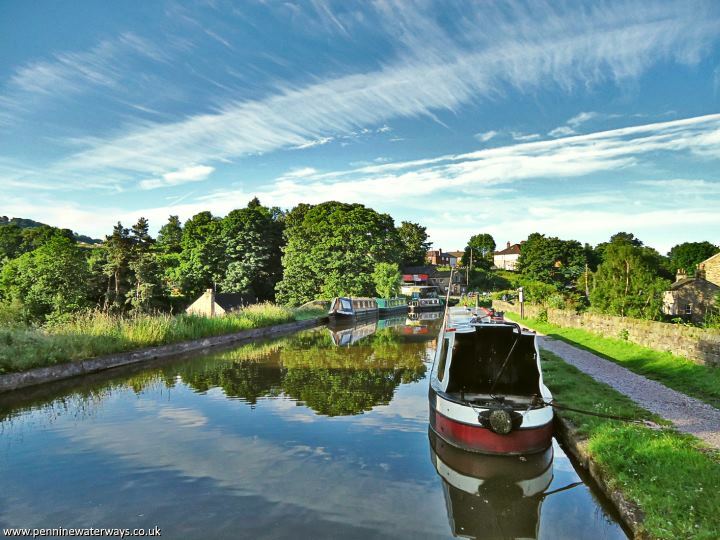 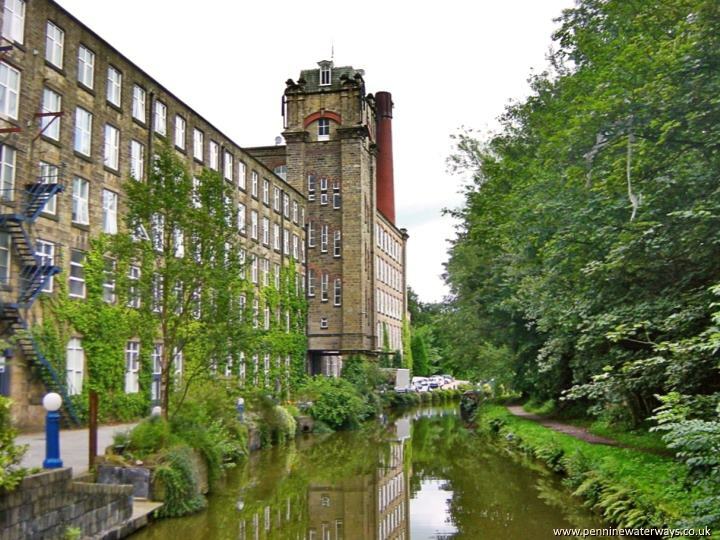 As Clarence Mill recedes into the distance, the canal crosses an embankment across the valley and then over Bollington Aqueduct. 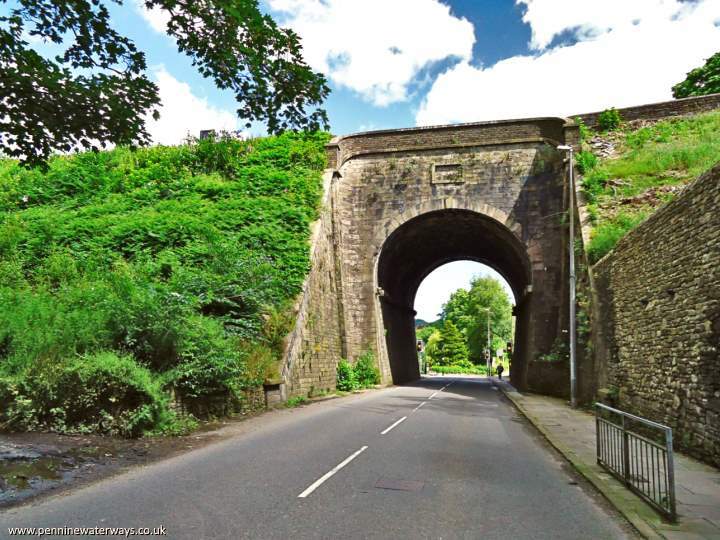 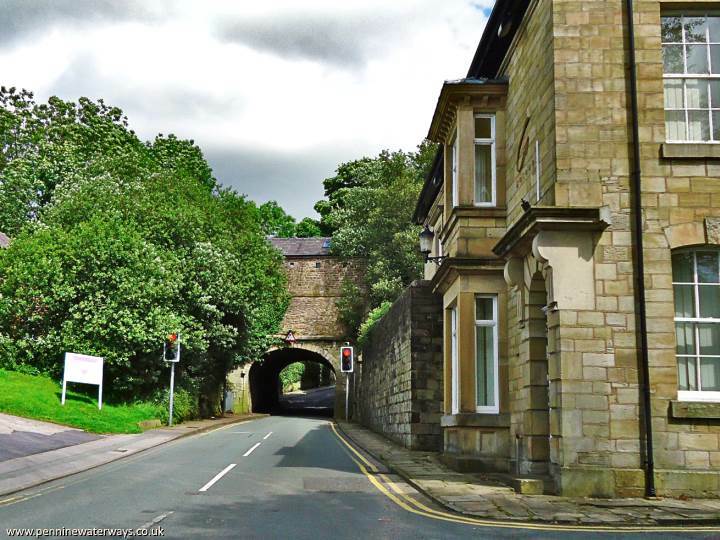 Bollington Aqueduct from the road below. 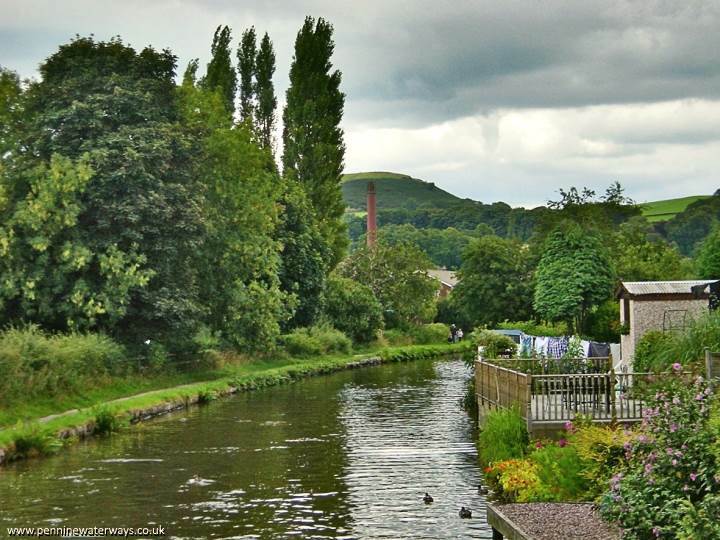 Looking back towards Bollington Aqueduct. 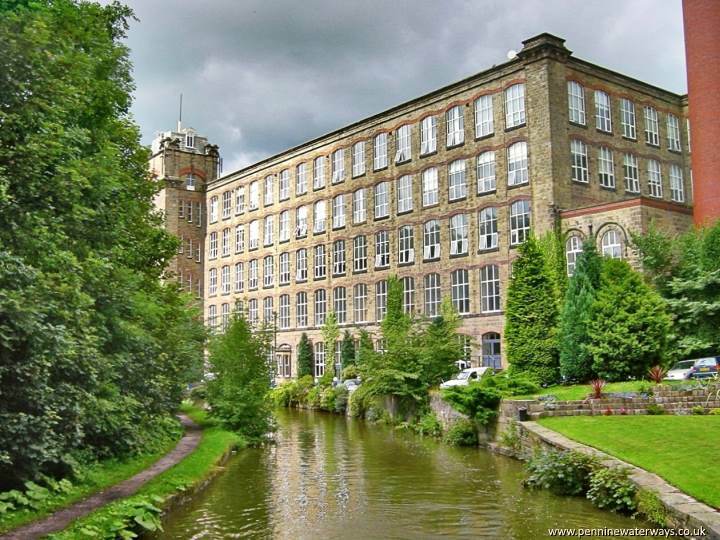 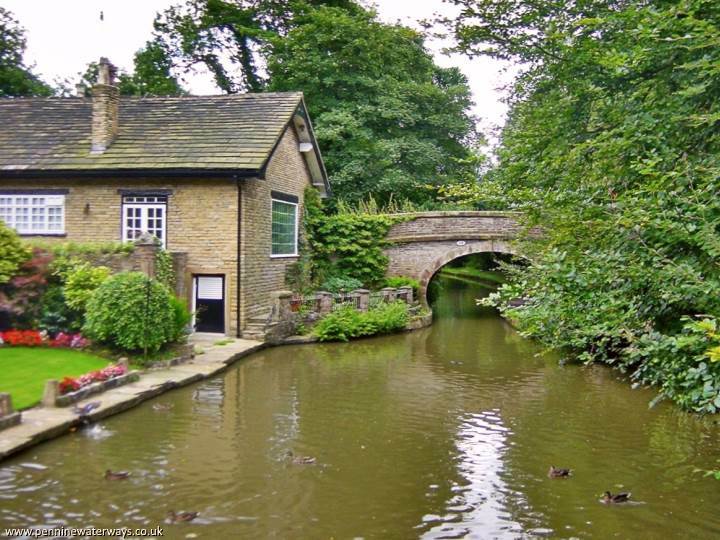 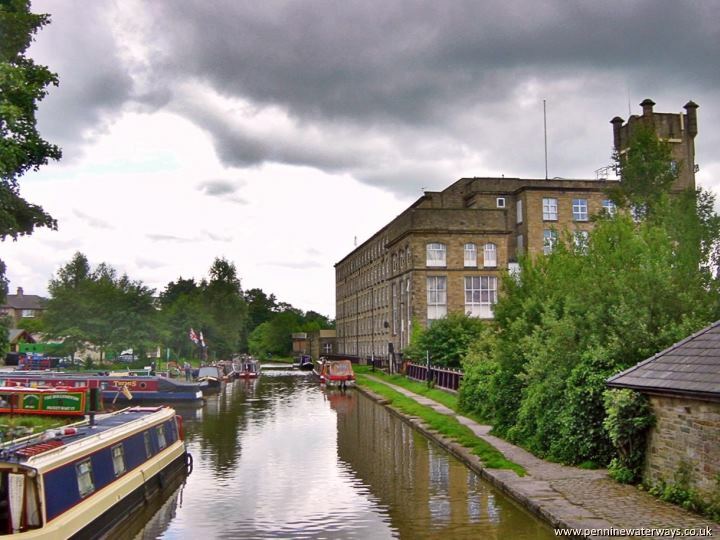 Opposite the boatyard at Bollington Wharf stands Adelphi Mill, Bollington. 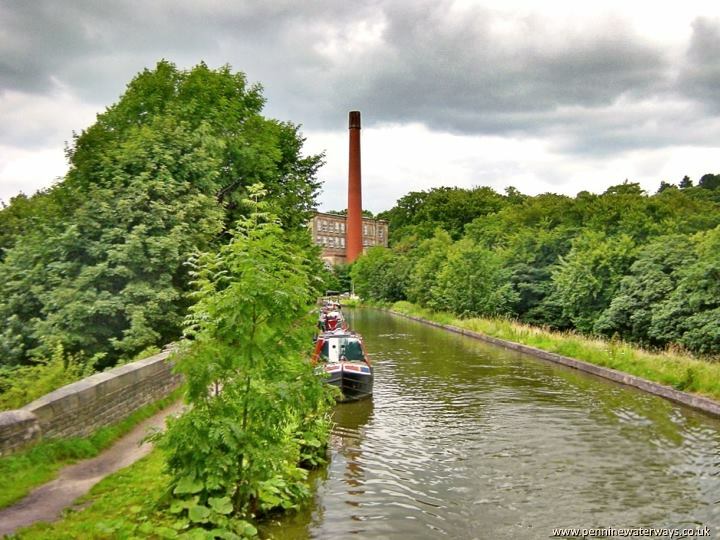 Just before Adelphi Mill another aqueduct takes the canal across Grimshaw Lane.